This beast of a truck is a 2012 Nissan Titan King Cab Pro 4X comes with a powerful and strong V8 5.6L engine with an automatic transmission and only 28k miles. A Titan like this deserves awesome modifications like Fox 2.5 coilovers with remote resivors, Camburg upper control arms, ProComp rear shocks, HID’s in the headlights, XD Robby Gordon machined wheels with Cooper MT tires wrapped over them, color matched Snugtop camper shell with locks, Warn VR 8000 winch with synthetic line that is mounted in the front ARB bumper. The factory features include a rear differential lock, 4×4, back up sensors, tow package, running boards, power group, Bluetooth, cruise control and steering wheel controls. Our Titan just went through a complete 151 point inspection by a California licensed repair shop and is ready to go! 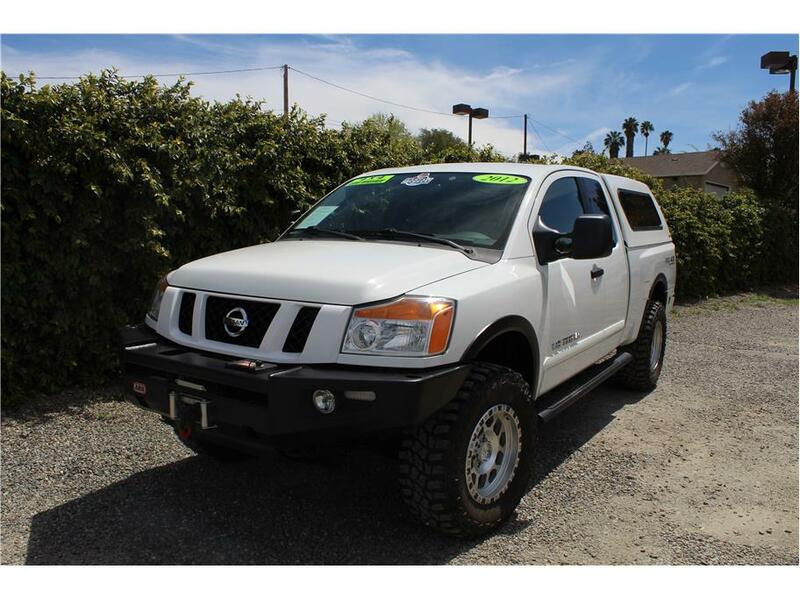 This truck is ready for any adventure ahead, come test drive it today!